Farm Credit is committed to the future of Arkansas agriculture. 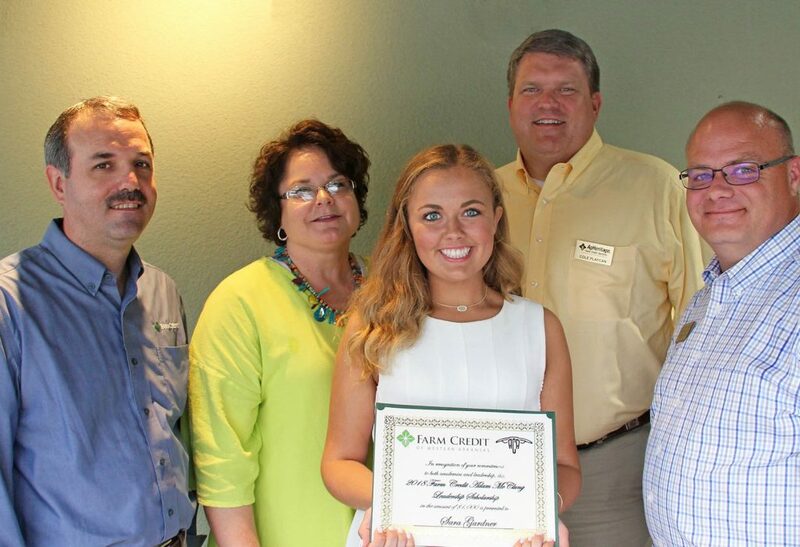 Arkansas Farm Credit associations are supporting the future ag leaders of the state through individual scholarship programs. Qualifications vary by association, check each association’s website for details. Youth loans for 4H and FFA projects are available to qualifying youth. Parental and FFA or 4H leader support is required. Talk to your local branch office for details. The Farm Credit associations in Arkansas created two, $1,000 annual scholarships in memory of Adam McClung. Adam was President of the Arkansas Cattlemen’s Association and a proven leader and advocate for Arkansas cattle producers and Arkansas agriculture before his death in 2017. 2018 recipients are Sara Gardner of Fayetteville and Allyson Sellers of Vilonia. Sara’s goal is to earn a law degree after completing an Agricultural Leadership & International Economics and Business degree with minors in Spanish and International Economic Development. Allyson plans to pursue a degree in animal nutrition or reproduction after earning an Animal Science and Ag Business degree from Fort Scott Community College. 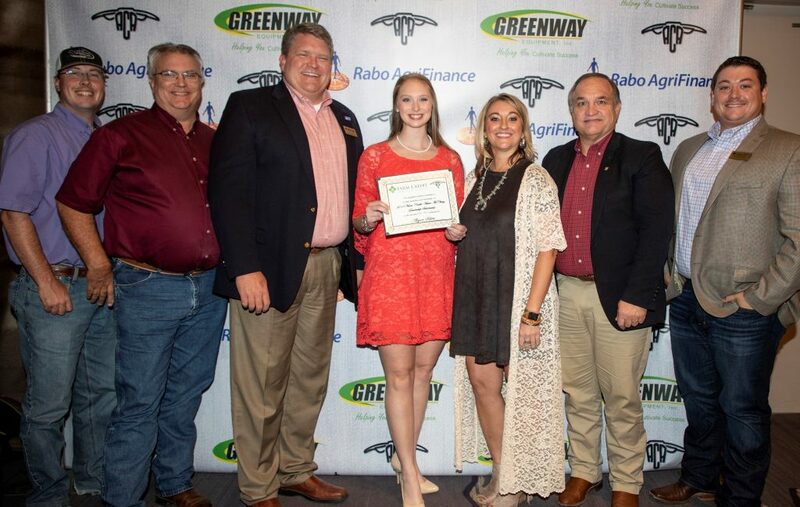 The Arkansas Cattlemen’s Association administers and awards these scholarships, see their website for 2019 Farm Credit scholarship details. Farm Credit partnered with the Arkansas Agriculture Department to support farmers markets across the state with a publicity grant program. Farm Credit donated $16,000 in grants over the past two years to assist markets with publicity and signage needs. The Arkansas Farmers Market Association presented Farm Credit with the award to commend their commitment to Arkansas farmers markets. 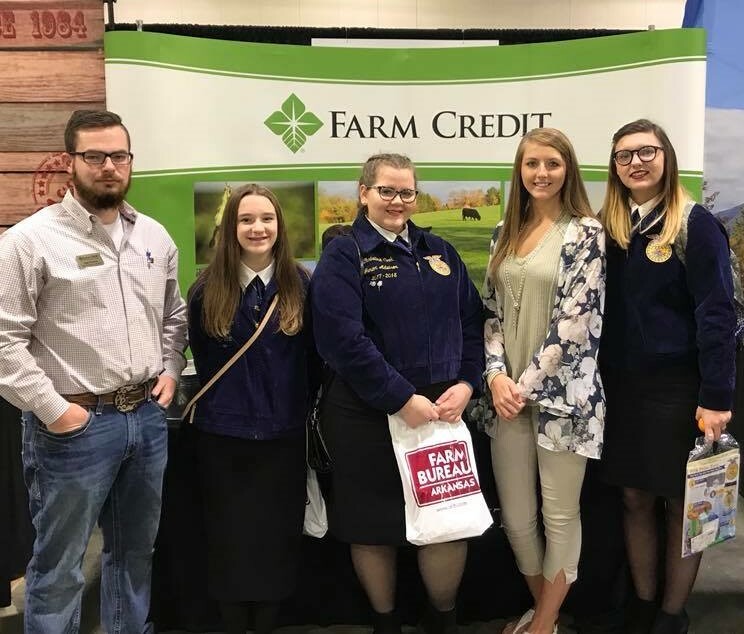 Farm Credit enjoyed joining over 2,200 FFA members, advisors and guests at the 91st Arkansas FFA Convention and Expo in Hot Springs in April. 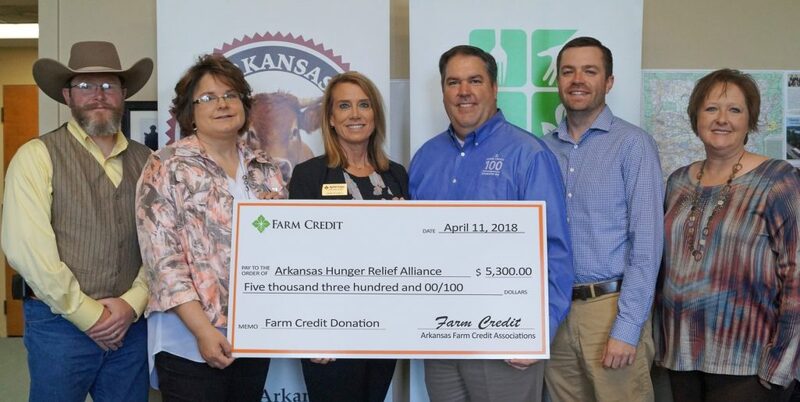 Arkansas Farm Credit associations support the Arkansas Beef Project through the Arkansas Hunger Relief Alliance. Our donation of $5,300 helps provide domestic beef to food-insecure Arkansans across the state. To date, Farm Credit has donated more than $10,000 to this effort. 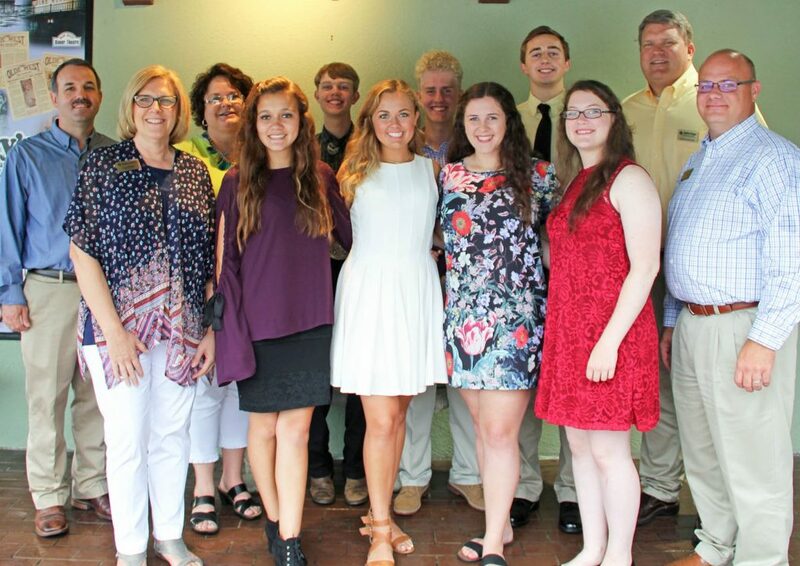 As has become our tradition, Farm Credit invites newly-elected Arkansas FFA and Arkansas 4-H state officers to dinner during their respective training weeks. It’s an opportunity to congratulate the new officers and get to know them. Over the next year, we’re excited to watch these young officers grow as leaders and serve FFA and 4-H. The Farm Credit cooperatives of Arkansas are members of the larger Farm Credit nationwide system. For a complete list of Farm Credit support, click to see a national list of programs and sponsorships.